This article is the second in our three part series "How to install pre-requisites needed for running a self-hosted edition of MIDAS from a Windows server". 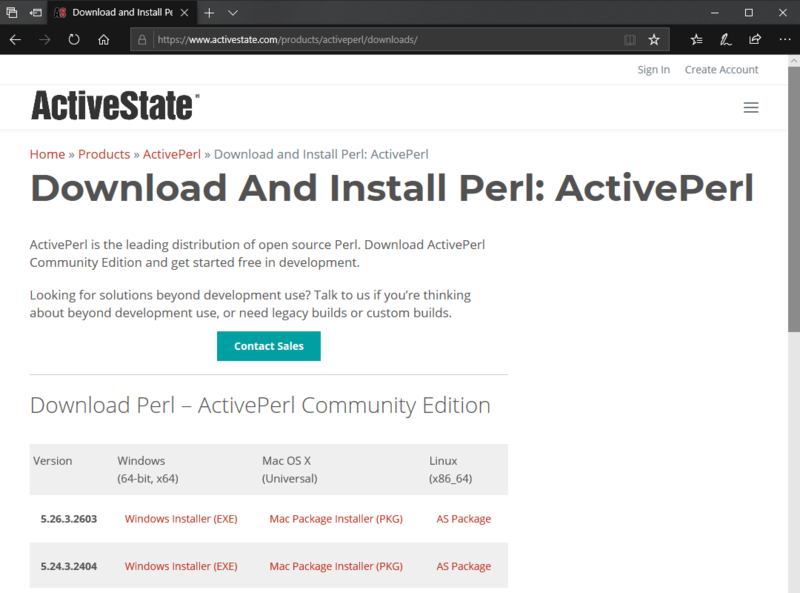 It applies to self-hosted installations of MIDAS on Windows-based servers only, and outlines how to install ActivePerl on Windows. Other Windows distributions of Perl (such as Strawberry Perl) are also available. Please note that this article is provided "as is" and is correct at time of writing. For further assistance installing/configuring Apache, please refer to the vendor's own documentation/support. This article assumes that you've already successfully completed our previous "How to install & configure Apache on a Windows server" guide. 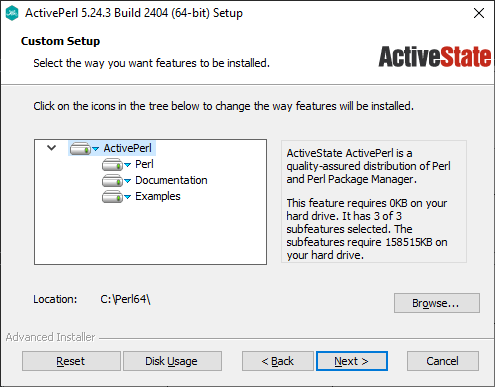 ActivePerl for Windows may be downloaded from ActiveState. We suggest that both "Perl" and "PPM" are selected. If in doubt, leave the default settings and click "Next". 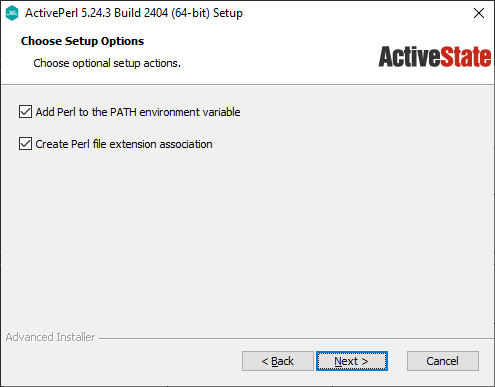 Once the ActivePerl installer has complete, let's test Perl to ensure that it's working correctly. 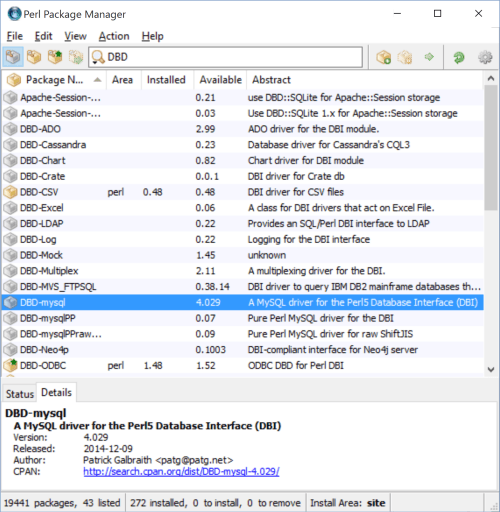 If you've not added the "ScriptInterpreterSource Registry" directive to your Apache server's http.conf file (as described in the first part of this series, "How to install & configure Apache on a Windows server", then ensure that the first line of your "test.pl" file reflects the location where you chose to install ActivePerl, followed by \bin\perl.exe. If however you did set the "ScriptInterpreterSource Registry" Apache directive, then you don't need to worry about the first line of your test.pl script being correct - in fact, it can be safely omitted it all together! ...which indicates that Perl has been correctly configured! If however, you see the entire contents of your test.pl file, then Apache didn't know how to handle your .pl file, and so instead of "executing" it, displayed its contents as plain text instead. In which case, please check Step 3B of our "How to install & configure Apache on a Windows server" guide. Once you have your test.pl script displaying "Hello World!" 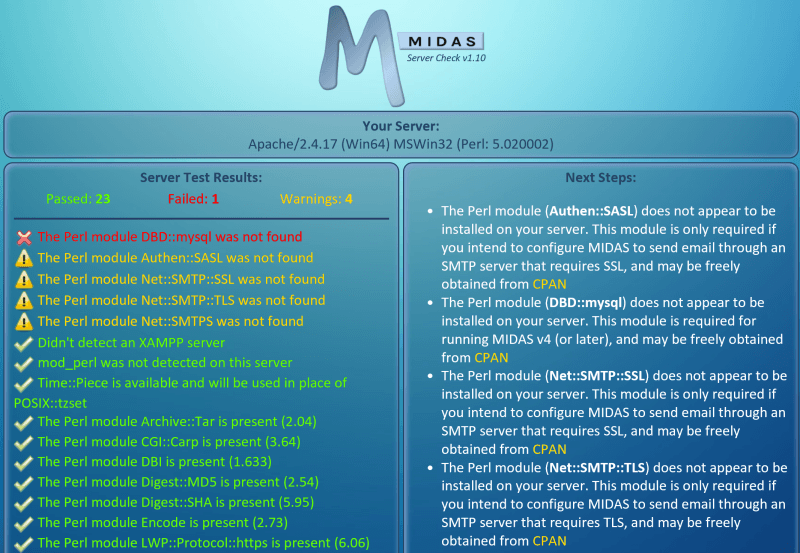 in your browser, it's now time to download and run our "Server Readiness" MIDAS tool. 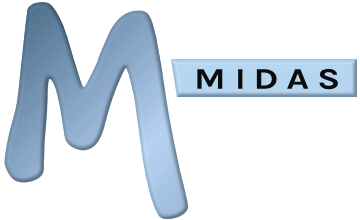 This utility will test your server setup and ensure that you have all the required Perl modules required for running MIDAS, and may be freely obtained via the MIDAS Server Requirements page. Save the utility to the same location as your previous "test.pl" script, and then access it via your browser in the same way. Right-click on the module and select "Install <module>" to mark it for installation. Do this for any other missing required modules, and then once you've marked all the required modules for install, press Ctrl + Enter. Accept PPM's confirmation that it's about to install modules, and then let the installation commence. It may take several seconds/minutes depending upon the number of modules you've selected. Once installation of all modules is complete, the "Status" tab at the bottom of the PPM window will indicate that installation is complete. Re-run the MIDAS Server Readiness tool again in your browser to check that the previously missing modules have now been installed.